Heath Druzin covers veterans for Stars and Stripes and before that spent five years covering Iraq and Afghanistan. 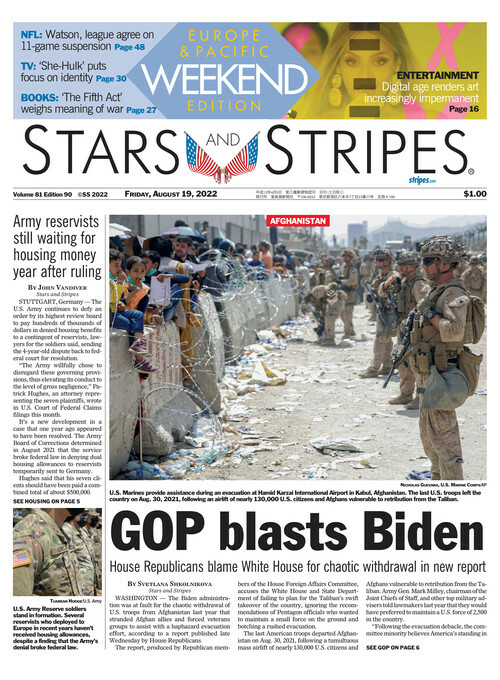 Prior to joining Stripes he covered crime, politics, and the military at newspapers in California, Louisiana and Idaho. When he's not in DC, you can find him in a yurt, but you have to look pretty hard. Freshmen lawmakers Reps. Dan Crenshaw, R-Texas, and Rep. Alexandria Ocasio-Cortez, D-N.Y. have become media sensations in their respective parties, each gaining hundreds of thousands of social media followers during their first months in the House. Sri Lanka’s Foreign Ministry said the bodies of at least 27 foreigners were recovered and included people from Britain, the U.S., India, Portugal and Turkey. U.S. Secretary of State Mike Pompeo said several American citizens were among the dead. DNA testing confirmed that the waterlogged body belonged to Air Force veteran Jacob Gonzales, the subject of a multistate manhunt since 2018. He was a suspect in the slaying of his girlfriend, fellow veteran Katherine Cunningham, who was found decapitated near a weapon-filled bunker.